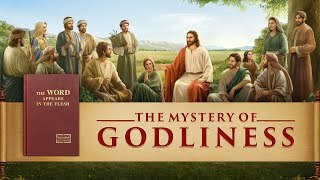 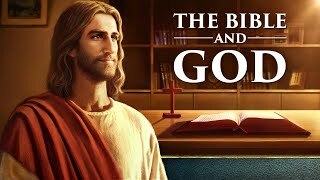 2019 Christian Movie "It's Good to Believe in God" | The Secret to a Happy Life (Official Trailer) 2019 Christian Family Movie Trailer "A Mother's Love" | Based on a True Story Christian Movie Trailer "Deadly Ignorance" Nearly Miss the Chance to Welcome the Return of the Lord Christian Movie Trailer | "The Gospel Messenger" | Bear the Cross and Preach Gospel of the Kingdom The Lord Jesus Christ Is Come | The Voice of God | Christian Movie Trailer "Knocking at the Door" Gospel Movie Trailer | God Is My Rock and Salvation | "Perilous Is the Road to the Heavenly Kingdom" Jesus Is Come | Christian Movie Trailer "Yearning" | Have You Met the Return of Lord Jesus? 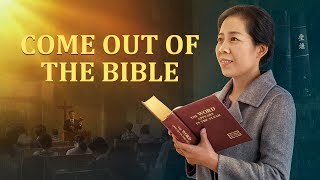 Second Coming of Jesus | The Word of the Holy Spirit | "What a Beautiful Voice" Gospel Movie Trailer Almighty God Is My Lord and My God | Christian Movie Trailer "Stay Out of My Business" Christian Movie Trailer | The Lord Jesus Christ Has Appeared "Who's Nailing God to the Cross Again?" 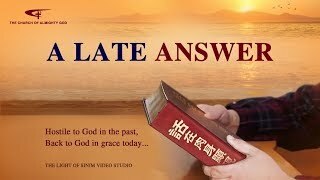 God Is Good | Almighty God Gave Me a Happy Family | Christian Movie Trailer "Where Is My Home" Accept Judgment and Be Raptured Before God | "My Dream of the Heavenly Kingdom" (Movie Trailer) "The Moment of Change" | Hear the Voice of God and Be Raptured Into the Kingdom of Heaven (Trailer) Gospel Movie Trailer | What Is True Faith in God? 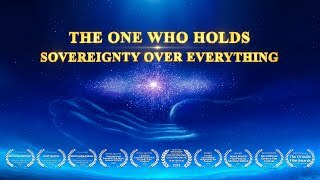 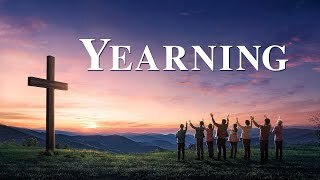 | "Faith in God" Flee From Religious Babylon the Great | Official Trailer "The City Will be Overthrown" Hear the Voice of the Holy Spirit | Gospel Movie Trailer "Break the Spell" Gospel Movie Trailer | Is the Bible the Lord, or Is God? 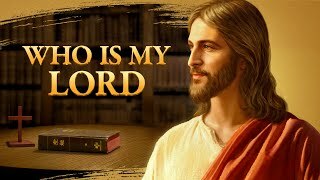 "Who Is My Lord" Gospel Movie Trailer | Know the Incarnation of God | "The Mystery of Godliness: The Sequel" Gospel Trailer | Shake off the Shackles and Return to God "Break the Shackles and Run" Following the Footprints of the Lamb | Official Trailer "Waiting" Be Good Soldiers of Christ | Official Trailer "Song of Victory" Disclose the Mystery of Kingdom of Heaven | "Awakening From the Dream" (Gospel Movie Trailer) Meet with the Lord Again | Official Trailer "Rapture in Peril" Unravel the Mystery of the Word Becoming Flesh | Official Trailer "The Mystery of Godliness" The Way of Eternal Life | Official Trailer "From the Throne Flows the Water of Life" Welcome the Return of the Savior | Official Trailer "Break Through the Snare" The Spirit Says to the Churches | Official Trailer "Who Is He That Has Returned" A Christian's True Feelings | Official Trailer "Stinging Memories" Plan of Salvation | Official Trailer “Stinging Memories” Second Coming of Jesus | Official Trailer "God's Name Has Changed?!" 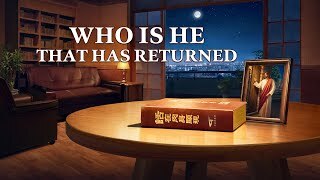 Do You Know | Official Trailer "God's Name Has Changed?!" 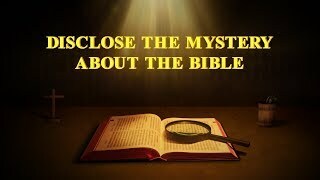 Seek First the Kingdom of God | Official Trailer "Blessed Are the Poor in Spirit" Ark of the Last Days | Movie Trailer "Caught the Last Train" Gospel of the Return of Jesus | Movie Trailer “Ironclad Proofs—Disclose the Mystery About the Bible” Defend the Truth with Life | Official Trailer "Honor and Dishonor" The Salvation of the Soul | Official Trailer "Awakening" The Hidden Truth of the Bible | Official Trailer "Ironclad Proofs—Exploration of the 'Trinity'" Explain the Mystery of the Bible | Official Trailer "Come Out of the Bible" Taking Up the Cross for the Christ | Official Trailer "Mission of Love"
New Gospel Movie | Is Life From the Bible or From God | "The Bible and God"
The Second Coming of Jesus | Gospel Movie | "Disclose the Mystery About the Bible"